We have been advised that decorated Navy veteran and retired NWA pilot Captain David Keith Droen passed away February 15th at the age of 73. Captain Droen hired on with Northwest 10-02-1967 and retired at the mandatory age 60 in 1999. An 11:00 A.M. memorial service and luncheon will be held to celebrate David's life on Saturday, February 23rd, at the Dan Patch American Legion Post 643, 12375 Princeton Ave. South, Savage MN. NAVCAD Wesley Wayne JEWEL, USNR; -- Ensign David K. DROEN, USNR; -- 2/Lieutenant Richard M. PRUSSER, USMC; -- Ensign Bud SOUTHWORTH, USN; -- 1/Lieutenant GRIFFIN, USMC; -- 2/Lieutenant Ted NELSON, USMC. Ensign Larry W. FURSE, USNR; -- NAVCAD Charles GLASSCOCK, USNR; -- 2/Lieutenant Charles BURNAFORD, USMC; -- 2/Lieutenant Richard W. BUCKLEY, USMC; -- 2/Lieutenant Gail SUBLETT, USMC; -- 2/Lieutenant FOCHE, USMC. David Keith Droen, known to his friends as 'Pilot', passed away peacefully with family by his side on Friday, February 15th, 2013, at U of M Fairview Hospital. He was born October 15th, 1939, in Sisseton, South Dakota. He graduated from Crookston Central High in 1957 and St. Olaf College in 1962, excelling in chemistry and track. Shortly thereafter, he joined the US Navy and discovered his love of flying. 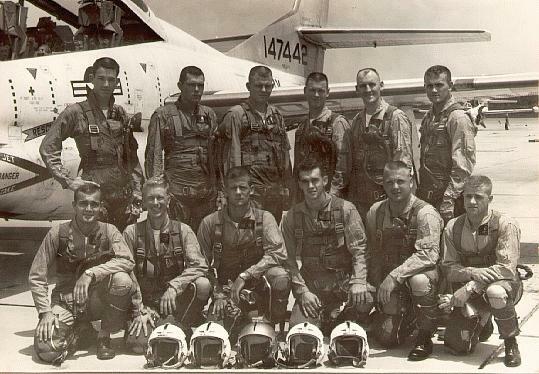 After flight school he served on the USS Bon Homme Richard and Ticonderoga, flying the A-4 Skyhawk. He earned the Distinguished Flying Cross among many other commendations and medals. Upon leaving the Navy, David continued flying as a commercial pilot with Northwest Airlines, retiring as captain after 25 years. He is survived by his daughter, Maggie (Jeff) Williams; grandsons, Nathan and Noah Williams; Maggie's mother, Sandra Thomas; brother, Richard (Idella) Droen; sister, Jeanine Droen; niece, Corrine (Darren) Mann and children Megan and Kristopher; and niece, Kimberly Droen. He was preceded in death by his mother, O. Lillian Droen; and father, Alvin Herbert Droen; infant nephew, James Alvin Droen; maternal grandparents, Marie and Charlie Hanson; paternal grandparents, Emma Droen (Nels) Halvorson; and uncle, Morris (Gertrude) Droen. David was an avid outdoorsman from a young age. He particularly enjoyed pheasant hunting in the Dakotas as well as halibut and salmon fishing in Alaska. He was also an enthusiastic member of Ducks Unlimited, devoted to preserving natural habitats. The family wants to extend heartfelt thanks to the staff of both Fairview Ridges and Fairview U of M for their outstanding care and compassion. Services: An 11 O'Clock Memorial Service and luncheon will be held to celebrate David's life on Saturday, February 23rd, 2013, at the Dan Patch American Legion Post 643, 12375 Princeton Avenue South, Savage, Minnesota. Memorials: In lieu of flowers, the family prefers memorials to University of Minnesota Amplatz Children's hospital. Subject: RNPA News: David Droen Has Flown West.